There is a lot of buzz as well as in-depth, scientific research surrounding possible ways the amino acid glutamine can impact your health. Research suggests that - during times of extreme physical stress - our bodies may need more glutamine than can be produced naturally. In those cases, supplementation could be beneficial. L-Glutamine Powder from Now Foods is a 100% pure, free-form amino acid and consists of the highest grade available. It's believed glutamine could be an important factor for gastrointestinal support. 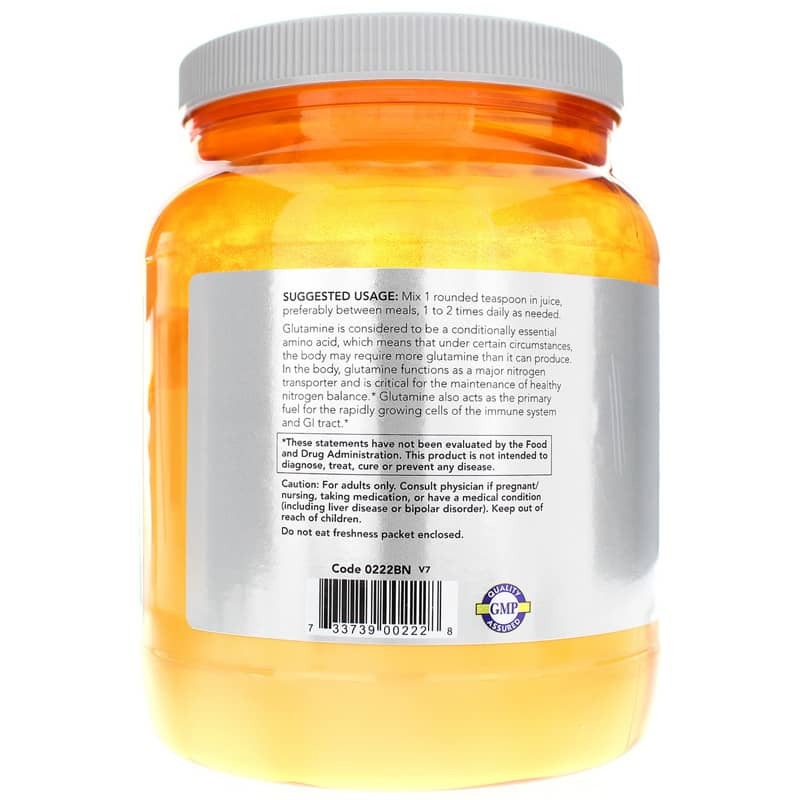 That's because it supports the restoration and health of mucous membranes in the large intestines and colon. Glutamine could also reduce stomach issues in general. Intense exercise can cause tiny injuries to your muscle, which in turn can lower your body's natural glutamine levels. As it works to repair the damaged tissue the glutamine supply may become depleted. For that reason glutamine is also used to potentially enhance exercise performance while promoting post-workout recovery. The National Institute of Mental Health has said that glutamines do have an impact on sugar cravings. 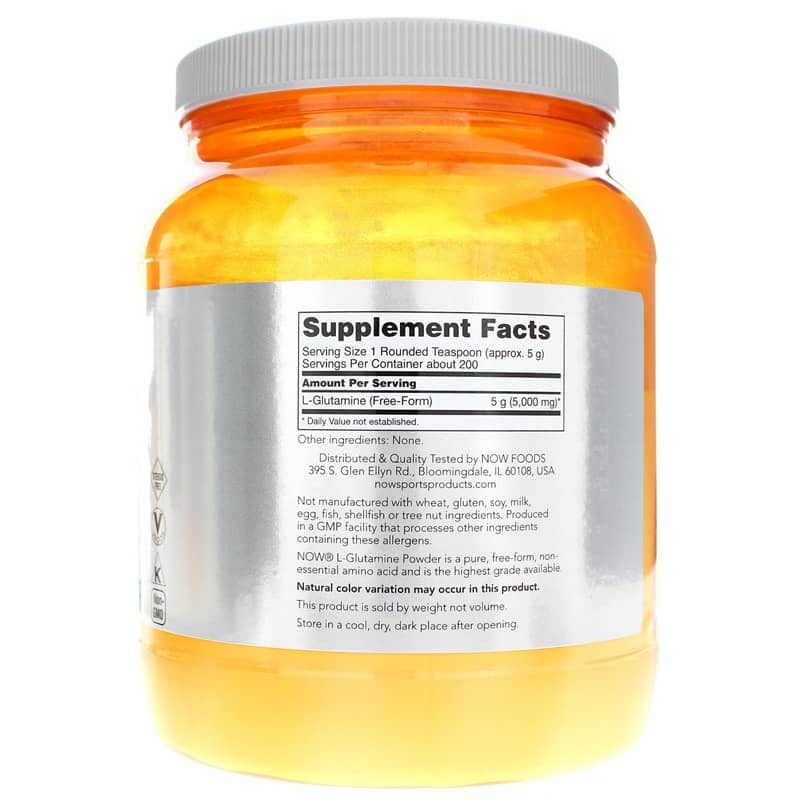 By supporting the preservation of lean tissue, this amino acid could help cleanse the body of waste products that are the byproduct of fat metabolism. That means glutamine can also support proper weight maintenance. Glutamine may be used in helping to speed up the recovery time after a surgical procedure. It has even been used to provide relief to chemotherapy patients dealing with symptoms of stomach irritation. 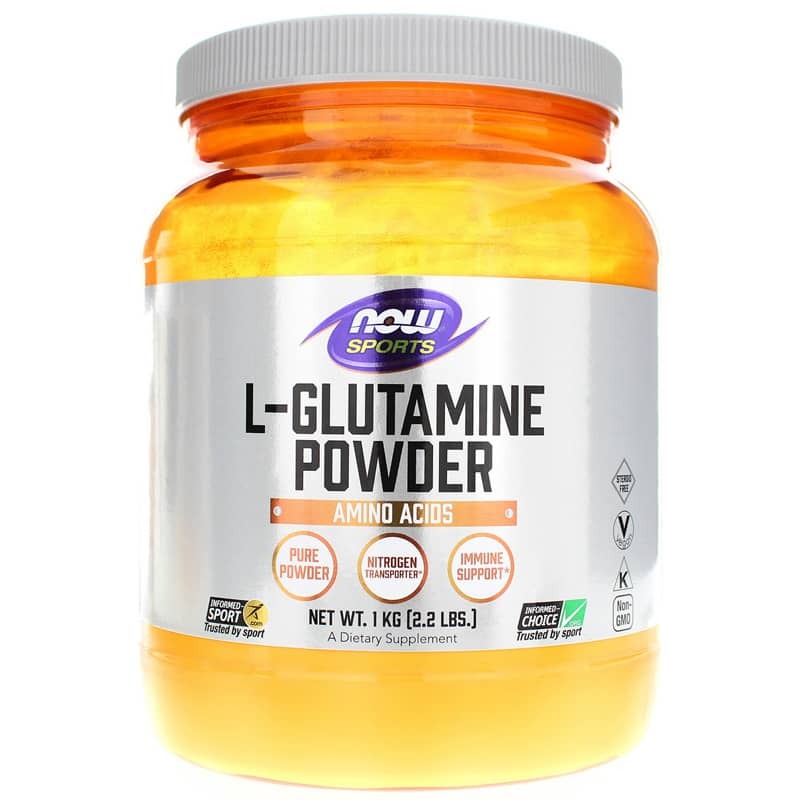 If your body could use some help recovering - try L-Glutamine Powder from Now Foods. Not manufactured with: wheat, gluten, soy, milk, egg, fish, shellfish or tree nut ingredients. Produced in a GMP facility that processes other ingredients containing these allergens. Vegan. Non-GMO. Kosher. Informed-Sport. Informed-Choice. Steroid-free. Adults: Mix 1 rounded teaspoon in juice, preferably between meals, 1 to 2 times daily as needed. For adults only. Consult physician if pregnant, nursing, taking medications, or have a medical condition (including liver disease or bipolar disorder). Keep out of the reach of children.